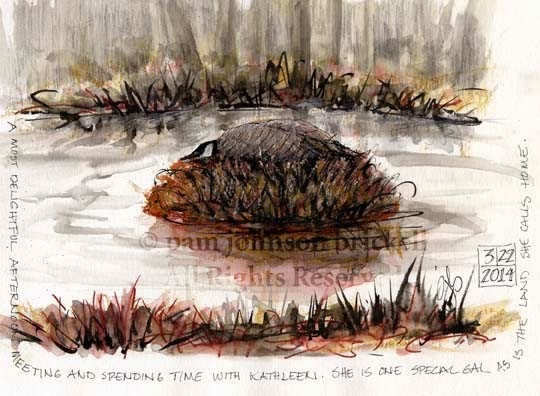 Pam such a great sketch...we have Canada Geese all around us...they have moved into the neighbor's pond...such super birds. Took time to catch up on all your latest posts. Just love visiting and seeing your sketches. Take care and have a great week. Thanks for stopping by, Debbie! Canada Geese are a favorite of mine. When we first moved to the lowcountry of SC from western NY, I missed them dearly. Now little by little, I'm finding scattered areas where I can get my geese fix :) Thanks for your nice comment! Sounds like a wonderful day, in spite of a little rain. Great sketch - from memory - too!